Please note that the 6am and 7am classes will run as normal today. We will be doing a modified version of Open workout 16.1. We will NOT be running the Open WOD for registered athletes in these sessions. 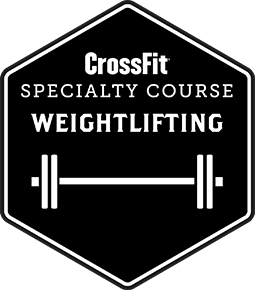 CrossFit Brisbane Registered Athletes will be contesting the Open at 4pm on Saturday, unless an alternative time has been arranged with Wendy. [B] No extra training. Rest & recover. CrossFit Brisbane Registered Athletes will be contesting the Open at 4pm on Saturday. If you cannot make Saturday afternoon, you can still register for the Open, and you need to book an alternate time with Wendy. Organising your own judge is very helpful. Please complete your judges certificate if you are able.